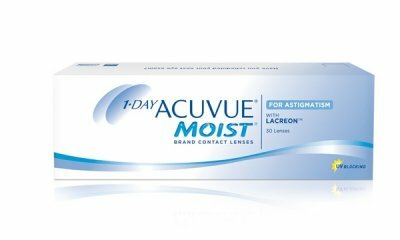 1 Day Acuvue Moist for Astigmatism provides perfectly stable vision with built in UV protection. 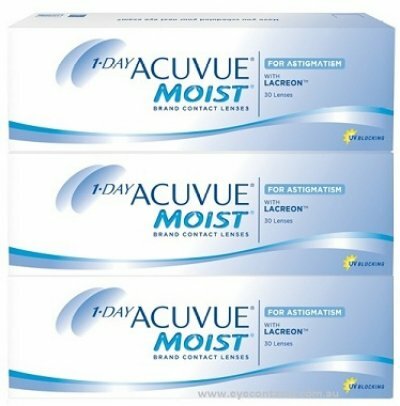 1 Day Acuvue Moist for Astigmatism gives stable crisp vision even during physical activity and head movements. 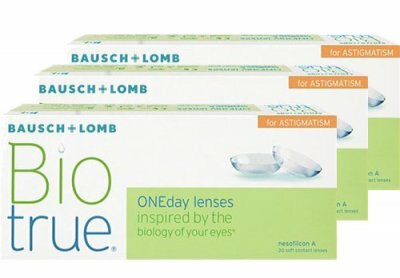 Biotrue ONEday for Astigmatism contact lenses provides comfortable vision throughout the day. 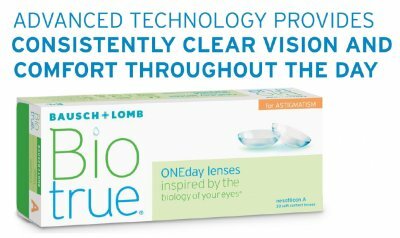 Biotrue ONEday for Astigmatism contact lenses provides comfortable vision for up to 16 hours. 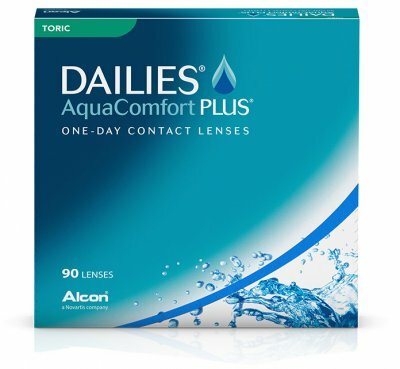 DAILIES AquaComfort Plus Toric Contact Lenses with blink activated moisture for advanced all day comfort. DAILIES AquaComfort Plus Toric contact lenses are a single use daily disposable contact lens to correct astigmatism made more comfortable with every blink of the eyes. MyDay Contact Lenses made with Smart Silicone Chemistry for excellent oxygen flow to the eye.